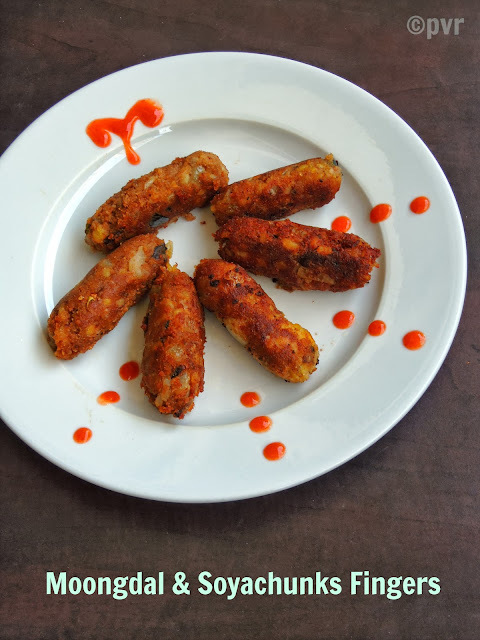 Once i started experimenting with foxtail millet, i realized that they are versatile and you can dish out many variety foods with them from starters to sweets. One of my recent trial with foxtail millet is this incredible,nutty sesame laddoos. Trust me, these balls are seriously addictive, both foxtail millet and sesame together works out wonder and these balls are definitely guilt free snacks to enjoy anytime of the day.Roasted sesame seeds and roasted millet when grounded together with jaggery,makes these cuties,dont even need any ghee or milk to shape them. A nutritious laddoos aka balls to munch whenever you feel like having something sweet, a prefect balls to satisfy your sweet tooth as well. These guilt free vegan balls takes hardly less than 20minutes to get ready and believe me they will get vanished very much quickly too.Sending to Pari's Only Food for Pregnancy. 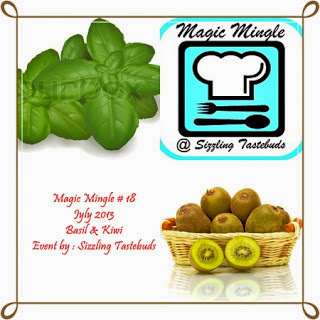 After a decent bunch of sweet bakes from Baking Eggless, owned by Gayathri we are landing to savoury world and this month's bake was suggested by the brain child of the event. I loved savoury tarts or pies and obviously i enjoyed thoroughly this month's challenge.Gayathri chosed meat pies from Saveur and the original recipe goes for meat and eggs in both filling and the dough. Obviously the members of this group have to skip completely both the meat and eggs with a savoury filling in a eggless dough. I replaced the meat with onions,corns and grated cheese, i spiced the onions and corn kernels simply with pepper powder,coriander leaves and salt, topped it with grated cheese while baking. They turned out prefect, fantabulous,cheesy and delicious, i simply served this pie for our dinner with a simple salad. 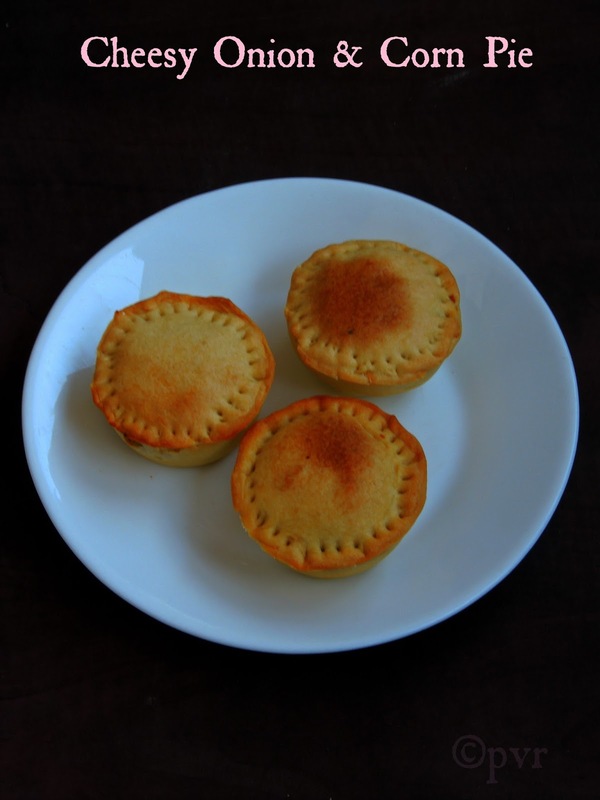 Make these cuties and am sure you will enjoy thoroughly these savoury mini pies.Sending to Srivalli's Summer Special Mela. Red Rice is a unhulled rice, meaning only the outer hard husk has been removed, leaving the inner cover (bran) of the rice grain intact.. It has a slightly nutty flavor and because of the germ of the rice is left intact it has high nutritional value. Red rice is meaty and has volume. One could say it’s heavy because just a little fills you up fast. Red Rice is mostly grown in Asia and tends to be fairly expensive because the yields tend to be low but of high quality.Red rice has relatively high dietary fiber and lowers cholesterol, control blood sugar levels and regulate weight as little will make you fuller.You can get this healthy red rice in natural,organic and health food stores. It is reputed to be a healtier alternative to polished rice,contains powerful anti oxidants,and have cancer fighting elements.It may not look attractive for those who love white polished rice, has a slightly funky taste somewhat similar to unpolished brown rice which might put off those who are not used to it.Since red rice had many nutritional value i tried making our South Indian dish aka dosas and they came out extremely well. Sending to Pari's Only Food for Pregnancy. My pantry is always filled with different sorts of spice mix powders,i cant survive without them. Whenever i feel lazy to cook up something,i simply mix some spice powder with hot steaming rice topped with ghee and enjoy with a simple spicy side dish,yep its my kind of comforting food. Everyone at home love these kind of spice powders, my recent favourite spice powder is this healthy lentils spice powder with flax seeds.This spice powder is definitely handy,healthy and versatile, you can spice up your curries,your leftover idlies or dosas with this flaxseed paruppu podi. This spice powder conserved well in an air tightened box can stay prefect for almost a month or more than if you make them in huge quantity.Somehow i love to make this kind of spice powders in small batches,so that i can mix and match the ingredients as i wish. 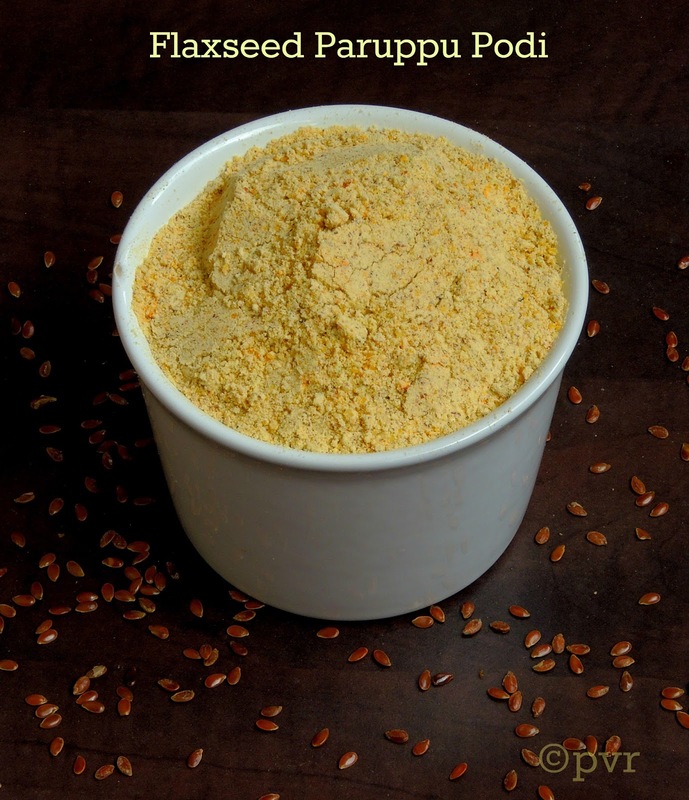 Dont forget to give a try to this healthy spice powder and enjoy the nutritional value of flax seeds thoroughly by consuming this healthy spice powder.Sending to Pari's Only Food for Pregnancy. Granita looks like sparkling jewels and it contains hardly any calories.Granita goes for fresh fruits, lemon juice and sugar, with these three ingredients you will get a beautiful frozen dessert.This frozen dessert requires no ice cream maker and just need to freeze the mixture in a stainless steel box and scrape the frozen mixture with a fork.Using stainless steel box will accelerate the freezing time and helps for a quick freezing.Usually i'll make strawberry granita, but for a change i tried adding some lime zest and lime juice in this granita,which gives seriously a different flavour to the usual strawberry granita. 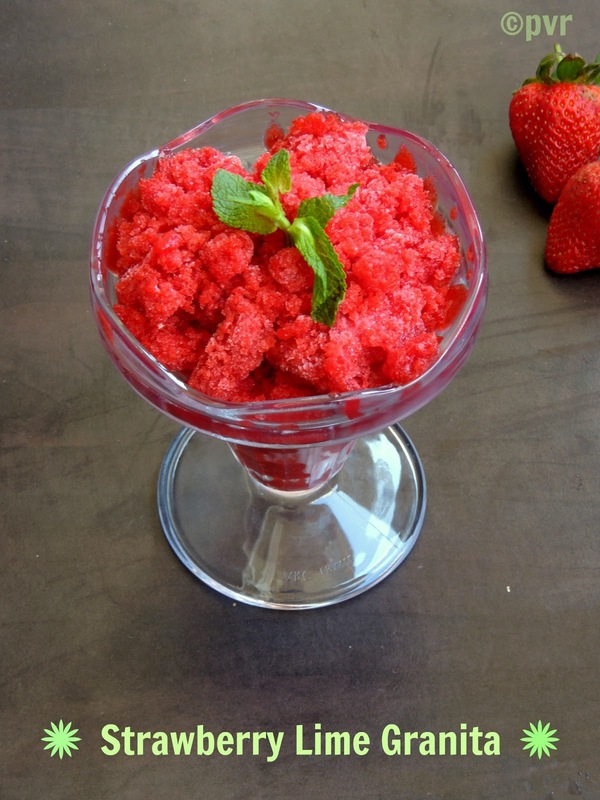 This strawberry lime granita is a prefect summer dessert and the texture of granita ressembles quite like gelato or sorbet also its easy to make since it doesnt go for fancy equipments other than a blender or a food processor, so you can prepare the granita with any sort of fruits eventhough my favourite goes for strawberries..This granita is my third post for this week's blogging marathon and check out the Blogging Marathon page for the other Blogging Marathoners doing BM#30.Sending to Srivalli's Summer Special Mela. 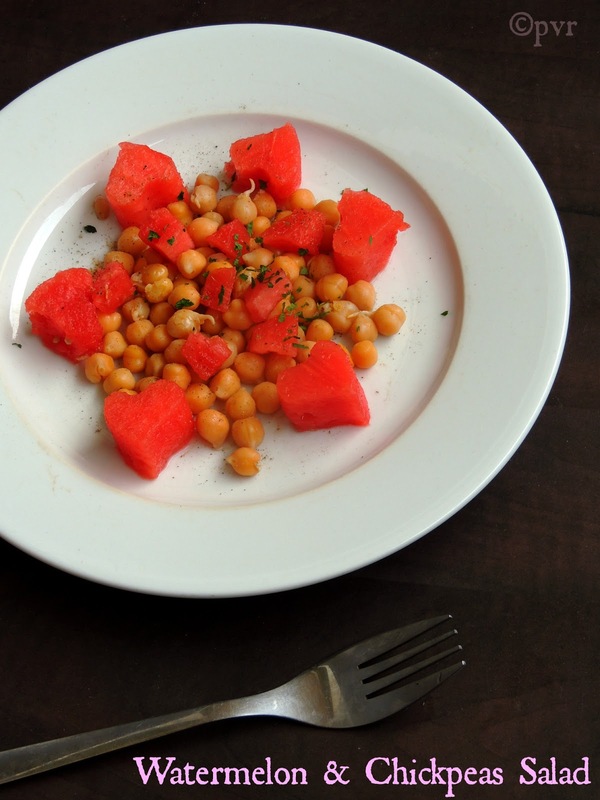 Have you ever combined watermelon and cooked chickpeas in salad? ?, if not dont forget to give a try to this combo, am sure you will definitely love this super refreshing salad as my kids just enjoyed having this vegan salad. Just with a hint of pepper powder,salt and dry herbs is enough to spice up this quick salad.An easy breezy salad which suits prefectly for a hot summer lunch or for an evening dinner.You can also mix and match any seasonal fruits or cooked beans for making this salad eventhough my choice is watermelon and chickpeas. This salad is my second post for this week's blogging marathon as my theme for this week is Kid's delight-Summer special.Coming to this salad,watermelon and chickpeas combination tastes utterly delicious,cool,refreshing and fantastic.If you make this salad once, am sure this salad will become a regular salad in your summer dinner or lunch.Also am posting this vegan and nutritious salad today for Vegan Thursdays, an vegan event running twice a month started by me.Check out the Blogging Marathon page for the other Blogging Marathoners doing BM#30.Sending to Srivalli's Summer Special Mela. Paris climate is dramatically super hot since few days and i cant tolerate this sudden hot weather here, obviously am making almost everyday some healthy and refreshing homemade drinks,nutritious salads and few homemade eggless icecream to keep us cool. One of the recent addition to my tried and tasted eggless icecream is this mixed berries icecream. 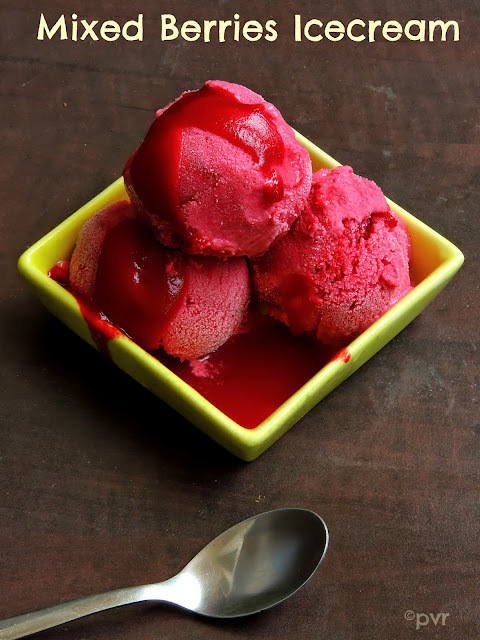 With a combination of strawberries,raspberries,blackberries and blueberries, i prepared myself a thick mixed berries sauce at home which i finally turned it as this delicious, super catchy icecream. Am running my fourth week of blogging marathon with Kid's delight - Summer Special for three days, so i'll be sharing three different dishes which are tasted and approved as prefect summer special dishes by my kids during this week's blogging marathon. Coming to this eggless mixed berries, you doesnt need icecream maker and with simple utensils you can make a prefect,smooth eggless icecream eventhough this no icecream maker version goes for a super quick preparation. Few scoops of this icecream topped with homemade berry sauce, you can see the heaven on earth. Check out the Blogging Marathon page for the other Blogging Marathoners doing BM#30. Sending to Kid's Delight-Summer Special hosted by Mireille, event by Srivalli.Sending to Srivalli's Summer Special Mela. A kugelhopf which is also spelt as Gugelhupf, Kugelhupf or Kugelhoph is a yeasted sweeten brioche like cake well known in the Alsace region of France, Germany,Switzerland and Austria. 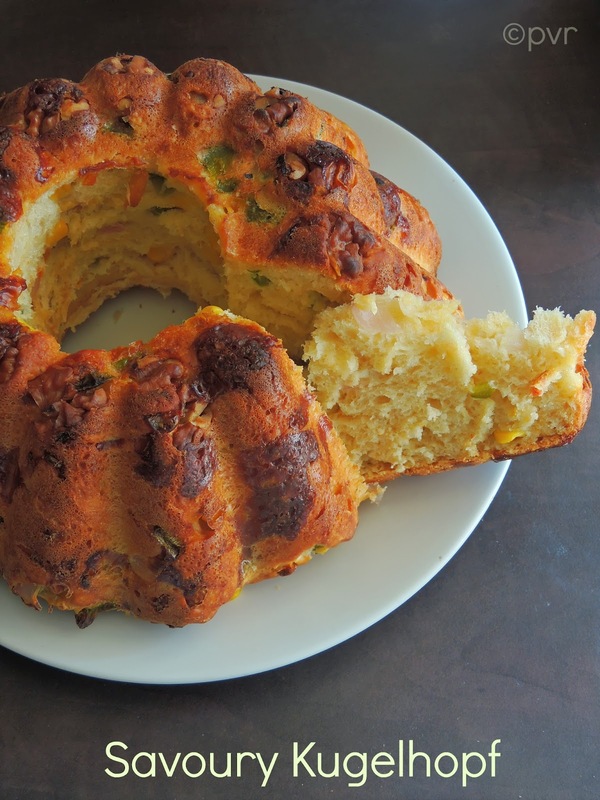 Also many variation of this cake is found in some coutnries of Eastern Europe.Kugelhopf consists of a soft yeast dough which contains raisins, almonds and Kirschwasser cherry brandy. Some also contain candied fruits and nuts. Some regional varieties (Czech, Hungarian and Slovenian) are also filled, often with a layer of sweetened ground poppy seeds. It is baked in a special circular pan with a central tube, originally made of enamelled pottery. Similar pans are used for making Bundt cakes, a cake baking pan shape in the US derived from the Kugelhopf.Since Kugelhopf is a yeasted cake, it will have a dense bread like texture and is made from an enriched dough like brioche. Its considered similar to a coffee cake that can be eaten for or with breakfast or also a part of an afternoon snack with coffee. Coming to this savoury version, this Kugelhopf suits too good for breakfast, as a snack or along with a simple soup.Usually savoury Kugelhopf goes for a kind of bacon/ham,onions, walnuts and herbs but this savoury kugelhopf goes for just veggies,if you like ham or bacon you can add them as u desire. This is our 7th challenge of this month's We Knead To Bake, a monthly event by Aparna of My Diverse Kitchen. Wheat bread are seriously simple to make and you can cross many varieties of bread with whole wheat flour. While going through King Arthur Flour's space, i got hooked to this simple, easy and definitely an excellent spongy bread.Trust me, this bread turned out extremely prefect with a wonderful spongy texture and a prefect crust. You can start your day with this healthy wheat bread simply with butter and you can also make a super filling sandwich with this wheat bread for lunch too. Obviously this bread goes for simple ingredients, since i used honey as per the original recipe went for, this bread suits also for diabetic peoples. 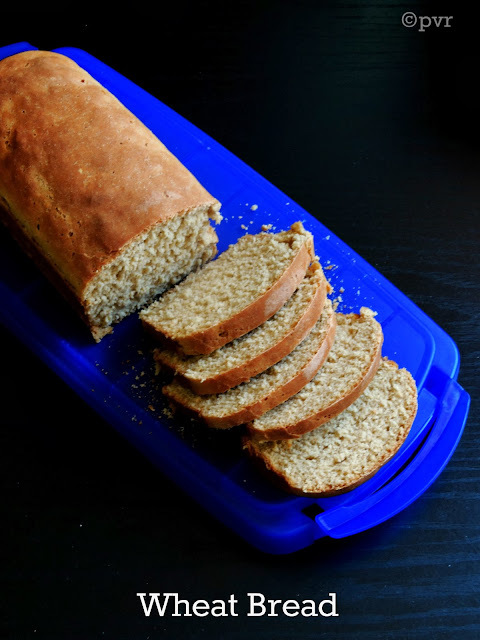 Obviously, we loved this super spongy wheat bread and enjoyed thoroughly making this simple wheat bread.Sending this classic wheat bread to my own event Healthy Diet-Cooking with Wholegrains. 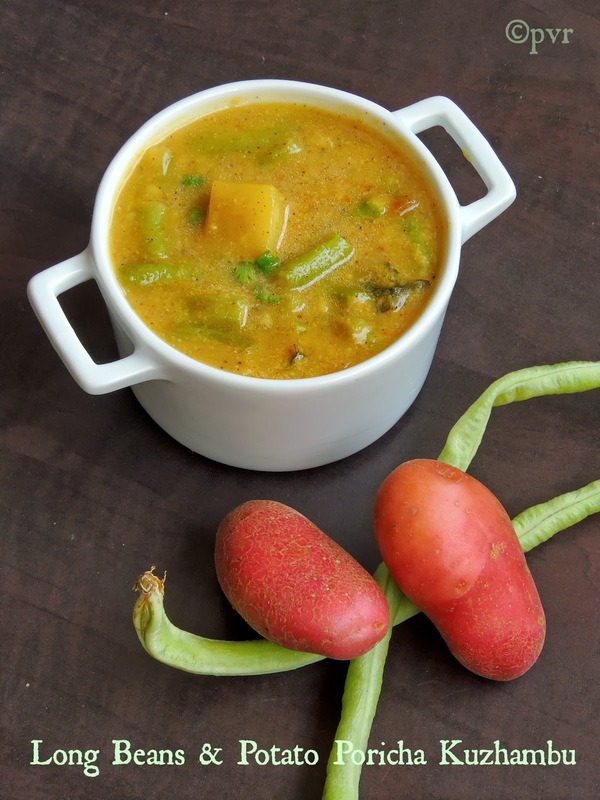 Pongal with sambar makes a wonderful breakfast, if its made with whole grains without ghee, just think about how this healthy pongal will tastes. Recently i tried making the usual ven pongal with a healthy twist, yep i combined both foxtail millet and wheat rava pongal for our dinner few days back. Trust me this healthy and wholesome pongal served along with spicy coconut chutney makes a super filling,guilt free breakfast or dinner. 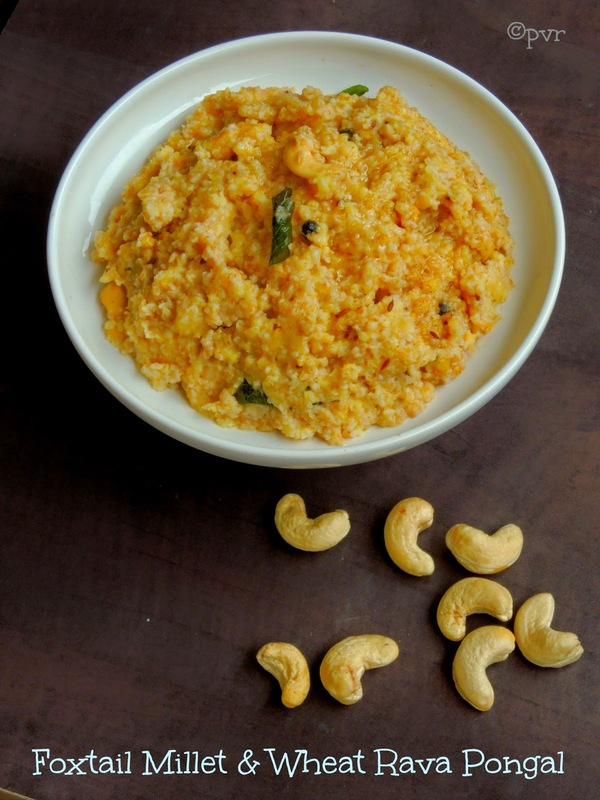 Both foxtail millet and wheat rava makes an incredible pair for making this healthy pongal. I have already tried my hands making wheat rava and foxtail millet in pongal separately,actually this combo was in my mind since a long, but finally i prepared making them for our dinner.Everyone at home enjoyed thoroughly this healthy and wholesome pongal.Sending this pongal to my own event Healthy Diet-Cooking with Wholegrains and to my own event CWS-Yellow moongdal hosted by Manju. Most of my followers knows very well about my new event where am introducing upcoming new budding bloggers twice a month.As i told earlier, the main motto of this event is to showcase the new food bloggers,their passions and their respective blogs.Obviously every 7th and 20th of the month, a newbie blogger will post their guest post in my space and am very happy to introduce them eventhough some of them may be very much familiar to you. However am proud and happy to invite them to my space to post their guest post and i got immense responses from each and every newbies when i send a message through a social network.Thanks guys, am really honoured and blessed to get you all around me. 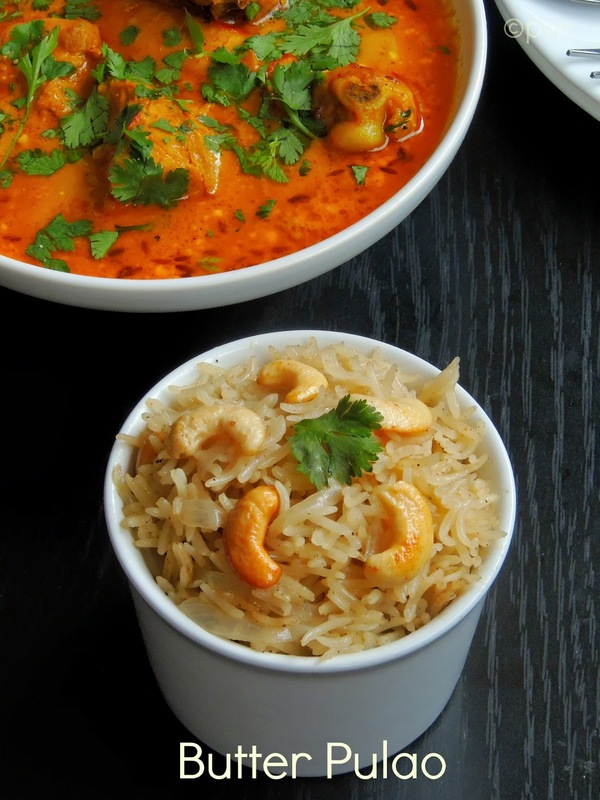 Today am introducing an another incredible,young blogger who blog's at Sara's Tasty Buds,its none other than Sharanya Palanisshami,a young chef who was quite busy with her studies but still she blogs almost everyday with many different dishes. She bakes,cooks,blogs,participates in many food events and leave comments to her co-bloggers, omg dunno how she manage to do all these things.I know Sharanya since a year, but honestly she is one among the budding bloggers i love to visit often and seriously love her cooking and baking skills. Hope a day we will meet personally and get know more about her. Hi friends, I am happy to write a guest post for priya akka of priya’s versatile recipes. I was a follower of her blog for a long time before I know her. We became friends from May 2012. I will be eagerly waiting to see her delicious post daily. She was excellent blogger who blogs daily with new innovative recipes. We didn’t met in person , will happen in future. 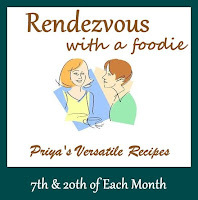 When priya akka announced about the Rendez Vous With a Foodie , I immediately asked her to give a date for me and it was today……. Before and after blogging, tell us wat blogging changed your life? Blogging had made many changes , I came to know about many friends , different cuisines , different cooking methods and so on.. When and what motivated you to blog about food? Cooking was my passion from childhood. I used to collect lot of recipes. I came to know about the blogging by October of 2009 . I thought why can’t I have a digitalized version of my recipe collection and my blog baby was born. There are tons of blogs/pages on food these days what according to you is the speciality of your blog and the food that you cook? Yes , there are tons of blog , each will be unique. I usually blog about the day- to - day recipes which we cook in our home. I mostly post a recipe which requires the ingredients which are easily available. I also blog about traditional , Indian , International and eggless baking recipes. Every newbie blogger faces tons of challenges when it comes to blogging,tell me about one of the challenges you faced and how did you overcome it? Please specify with facts and details. The biggest problem for me is to gain more visitors . I didn’t realize this problem for a long time. To bring more visitors to my blog I participated in events and challenges. What is your best recipe and your favourite recipes you have blogged till now? I think my best recipe was my Red Velvet Cake.My favorite recipes I had posted still are Sandhavai,Pain Ulundhi Vadai and Kongu Special,Cold Pasta Salad,Dates Roll and Jangiri. Few tips about food photography? I was not an expert in the photography. I will be sharing few tips …….. Always take photographs in natural light . Use the props contrast to the food. What is your budget for the props,do you have any or else do you manage with your household stuffs? I mostly use the household utensils as props. I bought few which are below 100 rupees not more than that. How do you plan your blogposts? Do you post rarely,regularly or once a week? I post regularly for the past year. I want to post daily if time permits. Do you have any other passions apart from food blogging or blogs you own? I love to do hand embroidering and other handworks . I have a blog for that but I didn’t post regularly. The blog name is Saranya's Handworks. Being from kongu region , I want to post recipes from our kongu region. Hope some know about the region and their cuisine. For those who don’t know about the cuisine , I am giving a short introduction. Kongunadu cuisine is the cuisine of the kongu region of the Tamil nadu. Kongu region covers salem , nammakal , erode , Coimbatore , Tiruppur, pollachi and 30 more places of Tamilnadu. In olden days , most of the people of the region are farmers . Nowadays , they are into starting many industries , textile mills , poultry , automobile industries , educational institutiona and so on. Regarding the cuisine of the region , it is different from other regions and uses their farming products usually. The kongu nadu cuisine is a collection of exotic recipes of the people . there are so many traditional recipes we are still following. There are many legumes and pulses are used in our daily cooking. The few recipes which I name can be arisiumparuppu sadham , opputu ( poli ) , sandhavai ( Idhiyappam ) , chola paniyaram and so on. We will start with a sweet recipe………. 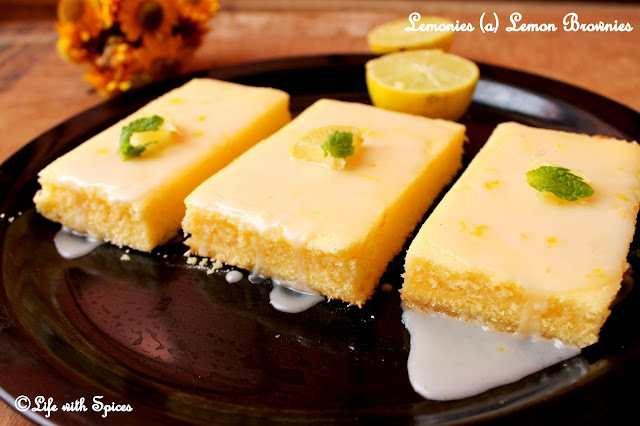 Today I am sharing the recipe of the favorite sweet / snack . I won’t count how many I had eaten . everyone will like this simple sweet delicious snack. Kachayam as we call is sweet fritters made using maida , sugar , banana and cardamom. It was a usual sweet dish made immediately when the guest arrives. As this kachayam can be made easily, in our home we makes this often when we are having more fully ripen bananas. This is a traditional recipe of the kongunadu cuisine. Many of the people of this region makes this delicious sweet fritters. Mix the flour , salt , sugar , cardamom powder and baking soda together. Mash the banana well and add to the flour. Add in half cup of water and make into smooth batter. Heat oil in a kadai , pour spoonful of batter into the hot oil and deep fry till golden brown on both sides. Kachayam are ready to serve. It tastes better next day but will be chewy . Passipayarru sadham as we call is the rice cooked with freshly grounded masala and whole green gram lentil . This rice is unique to kongu region . Some people call this as Arisumparuppu , but we won’t call so . For us Arisumparuppu is the lentil rice – rice cooked with tuvar dhal ( Red gram dhal ). Well , this is also dhal cooked with rice. This tastes different from the arisumparuppu , as the freshly grounded masala is added to this rice , which gives a unique flavor to it. This was a easy to make one pot meal which can be taken in lunchbox too. I used whole moong dhal to make this rice , split green gram can be used but make sure it has its skin intact. Wash and soak the rice and dhal together for 20 minutes. Grind the list of to grind ingredients to a fine paste. Heat oil in a pressure cooker , add the hing and mustard seeds , let it crackle. Add in the chopped shallots , split red chillies and sauté till onion becomes transparent. Now , Add the grounded paste and fry it for two minutes. Add the curry leaves , turmeric powder and soaked rice and dhal , stir well. Add about 4 ½ cup of water and required salt, mix well. Cover the lid and cook for two whistles. Let the pressure subsides. Open the lid and stir gently. Pasipayarru sadham is ready to serve. Serve along with ghee / sesame oil or curd. Ragi pakoda is one of the common snack of the kongu region. 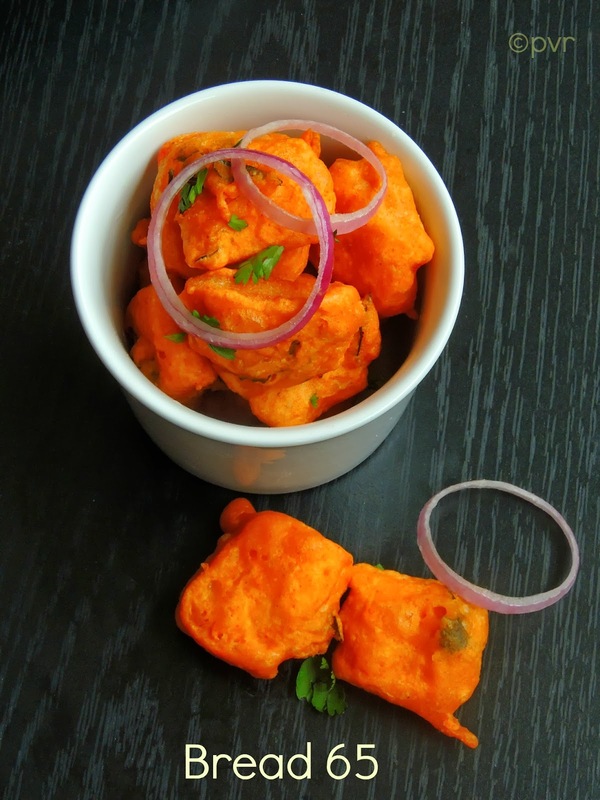 The speciality of this pakoda is we add murungaikeerai / drumstick leaves to this pakoda in our region.i like this snack a lot , It was healthy as both ragi and drumstick leaves are rich in Iron. Chop the onion and green chillies to fine pieces. In a bowl , add the flour , onion , green chillies , curry leaves , drumstick leaves , salt and mix well. Sprinkle little water and mix well to make a smooth tight batter. Heat oil in a kadai , add the small pieces of the dough and deep fry till crisp. As the color of the ragi is brown , we can’t able to check from its color. Cook in medium flame for 10 minutes is enough. Ragi pakodas are ready to serve. Thank you priya akka for giving me opportunity to write on your space. After peanut balls, one of my weakness is sesame balls aka ellu urundai. 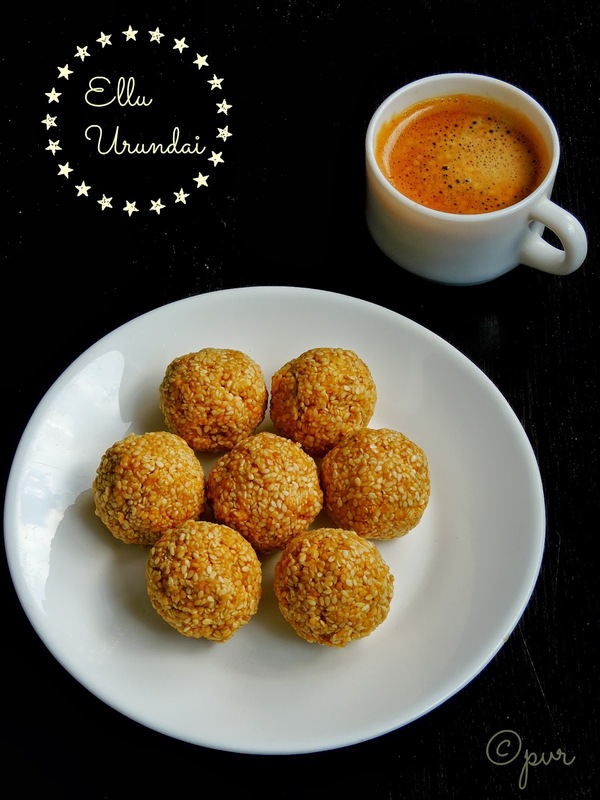 This is one of the addictive and super nutty sweet prepared simply with roasted sesame seeds,cardamom powder and jaggery syrup, yes just with 3 ingredients these addictive balls gets ready in a jiffy.Ellu urundai has a wonderful combination of nutty flavour of sesame seeds and jaggery's sweetness with mild cardamom aroma. 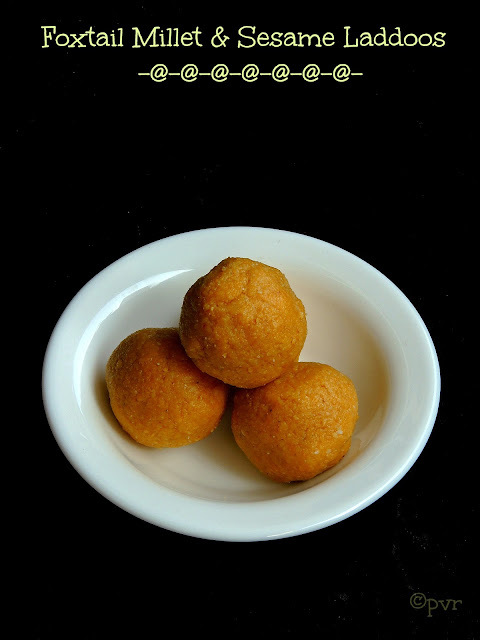 These sweet balls are highly rich in proteins and an excellent snack balls to munch without any guilt. You can make this addictive nutty balls with both black and white sesame seeds.These small sesame balls have their important place in a 'Tea kadai menu' and we get this tiny balls easily there. This is my third post for this week's blogging marathon under the theme 'Tea kadai menu'. Check out the Blogging Marathon page for the other Blogging Marathoners doing BM#30.Sending this nutty balls to Guru's Giveaway - Kid's Special. As i told earlier,am running three days of blogging marathon with tea kadai menu as my theme for this week's blogging marathon . For my today's post,am posting this famous tea kadai butter biscuits, i cant imagine a tea stall without these super buttery melt in mouth biscuits. In my earlier post, i have told few words about my relative's tea stall na, he will always have this butter biscuits in that famous huge tea kadai bottle. Whenever my maternal uncle or my grandma make a visit to our home, they will definitely come home with these butter biscuits which they never failed to bought them from that relative's tea kadai. 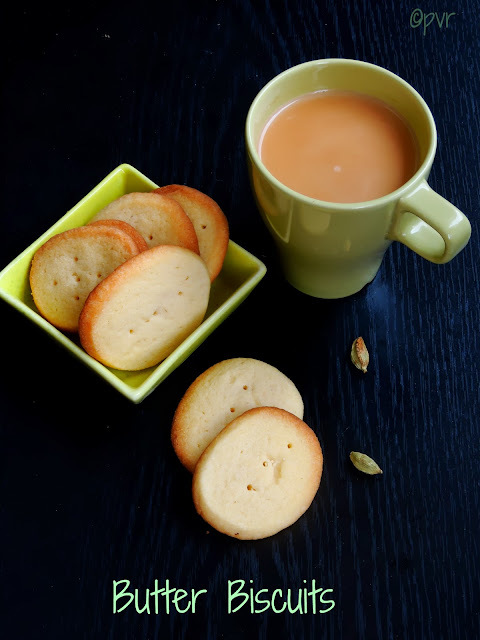 Butter biscuits dipped in warm tea or coffee, have you ever had this. I dont have words to say how delicious this coffee dipped butter biscuits will tastes. If you have never tried this, dont forget to make some butter biscuits at home and enjoy with a warm coffee or tea, am sure you will know the taste of this incredible pair. Check out the Blogging Marathon page for the other Blogging Marathoners doing BM#30.Sending this biscuits to Guru's Giveaway - Kid's Special. Am running from today onwards with an another super interesting theme for this week's blogging marathon,do you want to know about the theme?? its 'Tea Kadai Menu', Tea kadai or tea stall have their important place in India and you can find them in every corner of the streets in most of the cities and villages. Its a place where peoples from village or city enjoy their cup of tea with snacks and have their routine discussions about cinema news, gossips,politics likewise. Seriously tea kadais are the ancestors of today's coffee shops. Whenever we go to our grandma's village which is near to Tindivanam, our relative from my grandma's village who owns his tea stall in a main road between Tindivanam and Villupuram, never forget to serve his famous tea during our stay in the village bus stop as the bus service to our grandma's place are limited. 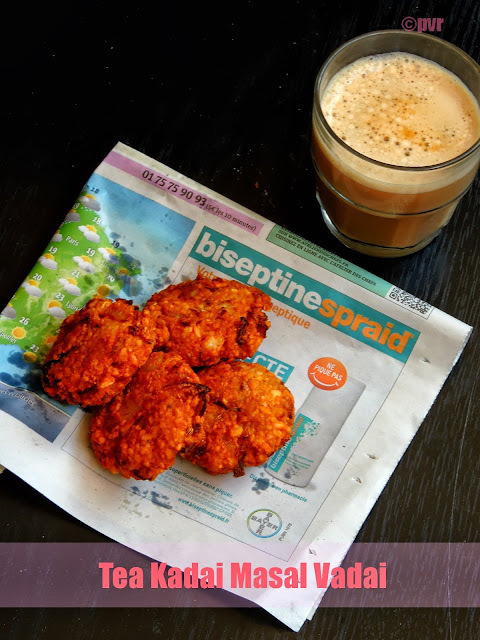 The smell of fried masal vadais from his tea kadai,oh my god i cant forget it even today . When i picked this theme i know i'll be making tea kadai style masal vadai coz this theme makes me nostalgic. The masal vadai am posting today is completely a village style masal vadai where most of the ingredients are grinded together and fried as vadais with chopped onions and curry leaves. Check out the Blogging Marathon page for the other Blogging Marathoners doing BM#30. After shortbread sandwich cookies and eggless peanut butter cookies, i baked some addictive pinwheel cookies with vanilla and chocolate eggless doughs. These pinwheel cookies are in my to do list since a long and i seriously want to make them atleast during this year, yep you read it correctly these pinwheel cookies are in my to do list since many years.Finally i baked them few days back for our this month's Home Baker's Challenge,an another cookie suggested by Viji. 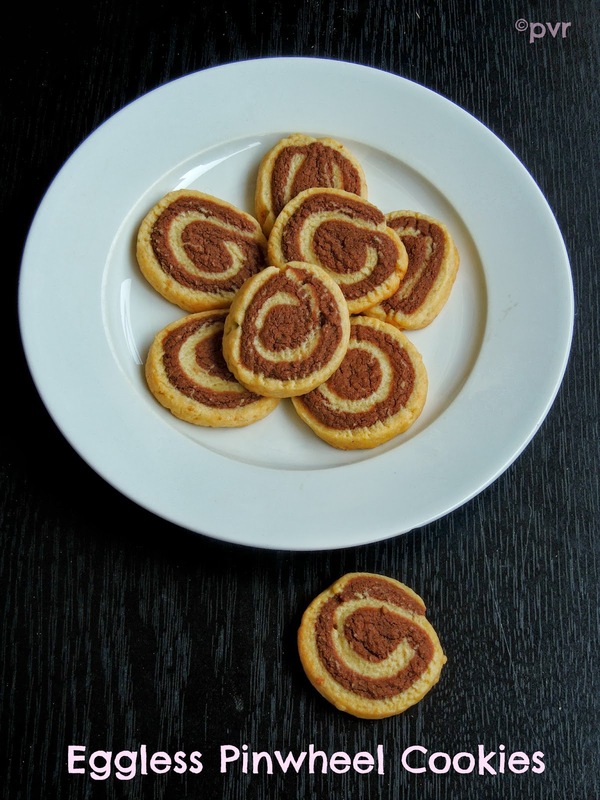 These chocolate and vanilla pinwheel cookies are quite popular among the pinwheel cookies and i know this cookies are quite buttery,addictive also it my kid's favourite. I can bake this recipe for days in row and the cookies will disappear definitely super fast. If you make a huge quantity of this cookie dough, the nice thing is that you doesnt need to bake them all at once, you can store this cookie dough in freezer for a long and you can bake it anytime whenever you crave for some.An excellent evening snack to munch with a cup of warm milk or coffee.Sending this cookies to Guru's Giveaway - Kid's Special. After Gujarat Dapka Kadhi, now we are landing to God's own country aka Kerala for our this month's Indian Cooking Challenge, a monthly event by Srivalli. Once we finished with our last month's challenge, i was waiting eagerly for this month's challenge but somehow i could stop myself mailing Valli to know about this month's challenge,for my surprise Srivalli asked me to suggest a dish and i suggested this tubular snacks aka kuzhalappams from Julie's space which i bookmarked long back and thank god Valli accepted it immediately. 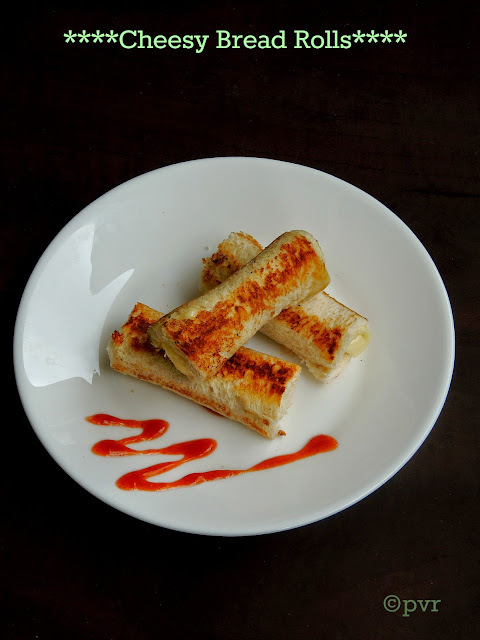 Actually i was planning to make this tubular crispy snacks during the summer vacation with my kids and finally i could make some for this month's IC challenge. Dont compare mine with Julie's kuzhalappams, they were extremely fantabulous when compared to mine and i struggled much to get as like her's. Eventhough my kuzhalappams dont looks as like Julie's, tastewise they turned out extremely incredible and obviously they are quite addictive. 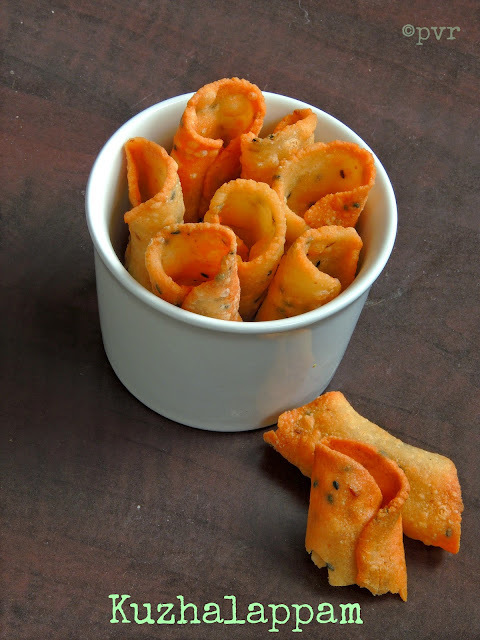 I followed exactly the same measurements as like Julie and we couldnt stop munching with one, am gonna make this crispy snacks quite often and even my lil one enjoyed helping me in rolling and shaping this tubular snacks. Dry roast the rice flour in medium flame until a nice aroma comes out. Meanwhile grind the coconut,cumin seeds,garlic clove,shallots with some water as thick smooth paste. Bring boil 1 cup water with enough salt in a pan, add the grounded mix in the roasted rice flour, cumin seeds,sesame seeds. Gradually add the hot water to the flour and knead when warm into a stiff dough. Divide the dough into gooseberry size balls. Grease a ziploc bag,place a ball and cover it with an another greased ziploc bag, then roll using a rolling pin into thin round shaped circles. With a round cutter, cut the rolled circle and wrap the disc on the index finger, stick the both ends to seal it. Place it in a tray and continue the same process with the remaining dough. Heat the oil for deep frying in medium flame, drop gently the kuzhalappams, fry them in small batches, dont overcrowd them. Drain the excess oil with a paper towel. 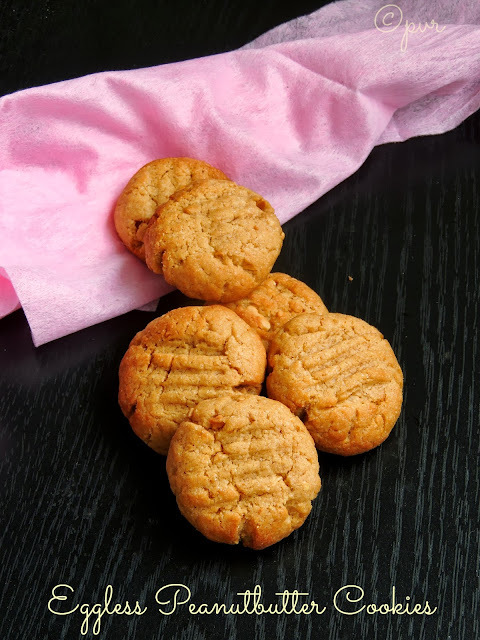 As i told earlier, i baked 3 cookies out of 4 cookies suggested by Vijayalakshmi for our this month's Home Baker's Challenge, one among the cookies is this peanut butter cookies. Am an ardent fan of peanut butter and my pantry will always a huge bottle of this nutty butter. This peanut butter is quite versatile and tried many dishes out of it, even i tried adding in our Indian eggplant curries, trust me they tastes fantabulous. I baked this peanut butter cookies immediately once Viji announced her choice of cookies and everyone at home just loved munching this super nutty cookies. Peanut butter cookies with crunchy peanut butter tastes fantastic and obviously they makes a prefect pair with a cup of warm milk. Eventhough am not a breakfast person, i dont hesitate a second to munch these baked goodies for my breakfast, yep i just love it that much. Now you may know how much i love these super nutty butter.To add more nuttiness to this delicious scrumptious cookies, you can also some chopped roasted peanuts too. In a mixing bowl, beat together the peanut butter, sugar and butter until they turns smooth. Sift the flour and baking powder together and keep aside. Gradually add the flour mixture to the wet ingredients and combine,sprinkle milk to turn everything as soft dough. Pinch off the dough as medium size balls, and roll. Place it over a baking sheet lined over a baking tray, press the balls with a fork. Bake the cookies for 15-18minutes until they turns lightly golden. Cool the cookies on a wire rack and enjoy. After diabetic friendly recipes,am announcing my Healthy diet event with cooking with wholegrains. I do cook atleast thrice a week with wholegrains and they have their important role in our menu.Eventhough wholegrains are bit expensive here, i dont forget to pick from my nearby organic shop. One of my favourite whole grain is Oats, after that i started experimenting with quinoa,foxtail millet,barley and started loving them quite often. Most of the wholegrains are versatile and suits prefectly for making Indian dishes as well as western style cuisine. What Is A “Whole Grain”? A grain is the edible seed of a cereal grass. These seeds, called “kernels,” are the means through which the grass reproduces. A “whole grain” has proportions of the bran, germ, and endosperm similar to those found in the harvested kernel. Whole grains may be intact, but they may also be cracked, flaked, or ground. Along with the weight loss benefits, including whole grains in the diet has been shown to reduce the risk of developing several chronic disease such as cardiovascular disease and type 2 diabetes. Whole grains also provide fibre, a range of vitamins such as vitamin E and B vitamins, minerals like magnesium, zinc, iron and selenium, and phytonutrients. But, you won’t get these benefits from processed, refined grains like those in white bread – instead stick to whole grain varieties like whole grain bread, oats, barley or quinoa (a pseudo grain that is technically a seed). 1)Cook anything with whole grains, both vegetarian and non vegetarian dishes are accepted from today to 12th August 2103..
2)Post as many dishes as you can in your blog from today onwards..many entries per person are allowed..
3)Link back your entry to this Healthy Diet event announcement page..
5)Using Logo is very much appreciated..
6)Please take care to send all your delicious entries before 12th August 2013. A per Wiki, Phyllo, filo, or fillo dough are paper-thin sheets of unleavened flour dough used for making pastries in Middle Eastern and Balkan cuisine.Filo dough is made with flour, water, and a small amount of oil and rakı or white vinegar, though some dessert recipes also call for egg yolks. Homemade phyllo takes time and skill, requiring progressive rolling and stretching to a single thin and very large sheet. A very big table and a long roller are used, with continual flouring between layers to prevent tearing.Filo or phyllo sheets are used in many ways like layered,folded,rolled or ruffed with various fillings. Since i had some phyllo sheets at home, i tried making a quick and easy breezy chocolate rolls with them. Just few phyllo sheets with milk or dark chocolate chunks and bake them in oven,your phyllo sheets rolls are ready to enjoy with a simple chocolate syrup or with berry sauce.Such a quick snacks na, these rolls turned out extremely crispy, delicious and super chocolatey, we loved it very much.This is my third entry for this week's blogging marathon as my theme is 'Get it Rolled'. Check out the Blogging Marathon page for the other Blogging Marathoners doing BM#30.Sending this rolls to Guru's Giveaway - Kid's Special. Cut the phyllo sheets to make 12 sheets, lay 2sheet into a working surface, brush it lightly ith butter. Meanwhile cover the remaining sheets with a damp kitchen towel and keep aside. 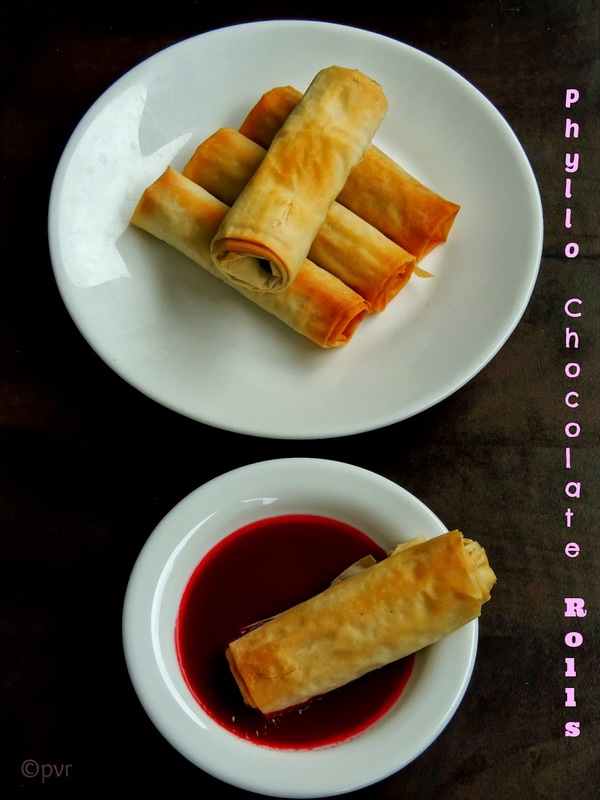 Now arrange chocolate chunks over the phyllo sheet, bring the edges to the center and roll it tightly as a log. Cover it with a damp kitchen towel and finish the remaining sheet. Preheat the oven to 350F, transfer these rolls to a baking sheet lined over a baking tray and bake for 20minutes or until they turns golden brown. After pizza and a marvellous marble cake, our this month's Home Baker's Challenge landing towards to the cookies world. This month's host Vijayalakshmi of Virunthu Unna Vanga suggested a humble bunch of cookies, seriously her choice of cookies were just amazing. Definitely all the members of this group would have enjoyed thoroughly this month's challenge as much as the two earlier challenges. I baked 3 cookies out the 4 cookies Viji suggested for this month's challenge, yep each and every selection of cookies viji suggested were stunning and pulled us to make them as much as we can. Coming to this shortbread sandwich cookies, i baked them just before few days. 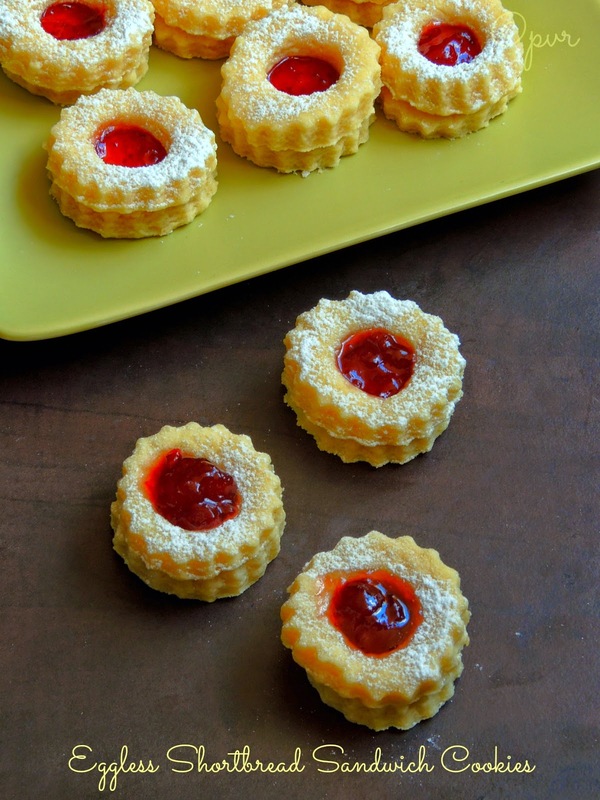 These shortbread cookies are amazing. I baked a super buttery shortbread cookies which sandwiched them later with some strawberry jam. These cookies looks exactly like the famous Linzer cookie eventhough linzer cookies have nuts and cinnamon in it. Butter in this shortbread dough give a wonderful flavour and trust me these cookies are dangerously addictive. You cant stop just with one cookie and am sure these cookies are big hit among the kids. In a bowl, beat together the butter,sugar until they turns smooth. Add the vanill and mix it. Meanwhile in an another mixing bowl,sift the flour,salt. Add gradually to the butter-sugar mixture and combine well to make a soft dough. Dump onto a surface dusted with flour,shape it as flat disc,wrap it in plastic and let them sit in fridge for 30minutes to an hour. Roll the dough as 1/4inch thick in floured surface and cut it with a cookie cutter as plain or fluted cookies. Count the rounds and divide them in half. With a small bottle lid, cut a hole from the each round. Arrange them again in fridge for 15minutes. Preheat the oven to 350F. Now bake the chilled cookies for 15-20minutes until the edges turns lightly brown. Now dust the top of the baked cut-out cookies with confectioners sugar,spread the jam on the flat side of the cookie. Assemble the cookies as sandwich and store them in a air tightened box and enjoy. Bored of making dals or gravies with over cooked mushy dals, dont worry you can make interesting evening snacks with them. One of my creation, dunno i can say so but somehow i created this damn cute crispy fingers with overcooked mushy yellow moongdal with cooked,grounded soyachunks. Trust me both makes a wonderful crispy,healthy as well as an interesting, shallow fried evening snacks. Kids will definitely love this also this fingers are vegetarian version of the famous chicken fingers. With simple ingredients and with less efforts, these healthy nutritious fingers gets ready in a jiffy if you have some cooked dals at home. You can mix and match the veggies in case if you want to add them in this vegetarian fingers, i simply used some sauteed finely chopped carrots,capsicum and sweet corn to make this kid's friendly snacks more interesting. This is my second day of this week's blogging marathon, where i chosed an interesting theme 'Get it rolled' and these cute fingers suits prefectly for this week's theme na .Check out the Blogging Marathon page for the other Blogging Marathoners doing BM#30.Sending this crispy fingers to my own event CWS-Yellow moongdal hosted by Manju and to Guru's Giveaway - Kid's Special. Heat 2tablespoon of oil in a pan, add the chopped onions and saute for few minutes. Add the mixed veggies, chopped green chillies, cook for few minutes until they gets half cooked. Same time, cook the soyachunks in boiling water until they double their size,drain the water. Squeeze out the water from the cooked soyachunks, take it in mixie and grind as bit coarse mixture. Now take the cooked moongdal,grounded soyachunks,sauteed veggies,chopped coriander leaves, bread crumbs,garam masala and salt in a bowl. Mash and mix well everything, take medium size balls from the mixture and roll it as medium size rolls. Arrange the rolls in fridge for an hour before shallow frying. Heat oil for shallow frying, drop the fingers one by one, fry in medium flame until they turns brown. Enjoy with ketchup or sweet chilly sauce. A bunch of my blogger friends are celebrating their birthday during July and august,so obviously you wont be disappointed to see how virtually we are celebrating their birthday. 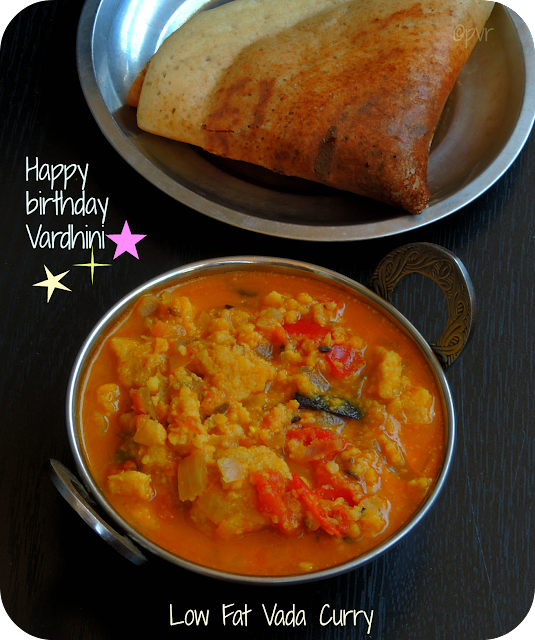 Today, 10th July my friend Vardhini of Cooks Joy celebrates her birthday. 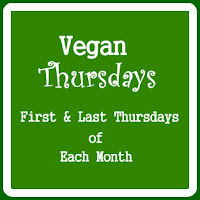 To celebrate her birthday, myself along with my other blogger friends chosed to cook Vegan dishes from her space.Hope Vardhini will definitely enjoy our virtual vegan treat and am sure she will definitely have a blasting birthday with her family. Birthday are special occasions and they call for special celebrations.Happy birthday Vardhini, hope your day is filled with lots of love,happiness and laughter.May all your birthday wishes comes true. 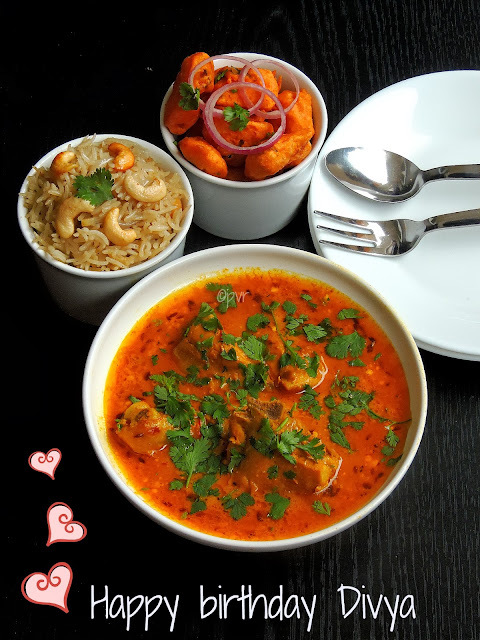 To celebrate Vardhini's birthday virtually, i cooked up her low fat vada curry. Vada curry is a delicious channa dal based curry prepared either with deep fried channadal fritters or else with left over masala vadas. But while going through Vardhini's space, i got hooked to her low fat version of vada curry where she steam cooked spiced channadal balls and prepared her vada curry. I prepared this low fat vada curry for our saturday dinner, seriously i had two more dosas with fingerlicking vadacurry. Vada curry with fried channadal fritters or steam cooked, they tastes fantabulous and thanks to Vardhini for sharing this healthy and low fat version of famous South Indian Vada curry. Grind the soaked channadal with dry red chillies,garlic cloves,fennel seeds and salt as bit coarse paste. Transfer the grounded channadal paste to a bowl, add the chopped onions,curry leaves and chopped coriander leaves,mix it well. Make balls from channadal batter and steam cook them for 15minutes. Heat oil in a pan, fry the cloves,cinnamon stick and fennel seeds until they turns brown. Add the chopped onions,slit opened green chillies and saute until the onions turns transculent. Add now the chopped tomatoes,sambar powder and cook until they turns soft. Add 3-4cups of water, salt and turmeric and bring it to boil. Take the steam cooked balls and mash them slightly with fingers (since we need big chunks of these steamed balls,take care not to mash much), add to the boiling mixture. Add all the mashed balls and cover the pan with lid and cook for 15minutes until the gravy until bit thick. Serve hot with idlis or dosas. Sending to Srivalli's Side dish Mela. Dont know whether you guys struggle much to prepare your evening snacks, but i do.My kids and H are great fans of evening snacks and they do love to enjoy different snacks every evening, for them snacks is quite important than the evening dinner.Obviously you can see many varieties of evening snack foods in my space. When i chosed my 2nd week's blogging marathon's theme as 'Get it rolled' i know my three dishes for this week's blogging marathon are going to be delectable evening snacks. With simple ingredients,you can make a super cheesy rolls with store bought bread slices and you can see how cheesy delicious they are. Hope the picture itself speaks a lot na, this rolls takes hardly less than 10minutes to get ready and needless to say how fast they will get vanish. With a cheese slice and a single bread slice, your super cheese bread rolls are ready to enjoy thoroughly with a cup of tea or with a glass of fruit juice. Trust me,this cheesy rolls are quite filling with a drink and this rolls is my kid's recent favourite evening snack. With an adult guidance, even a small kid can make this bread rolls easily.See how simple this rolls are. Cut the brown crust of the bread and roll it slightly with a rolling pin. Now place the cheese slice over bread slice and roll it tightly. Use few drops of water, and seal tightly the end of the rolled bread. Heat the butter or oil in a tawa, toast the rolled bread rolls until they turns slight brown. Enjoy warm with your favourite sauce. Poricha kuzhambu is one of the easiest dal based gravy which gets ready very easily as this kuzhambu doesnt need onions or tomatoes. An excellent gravy to enjoy thoroughly with rice or else with Indian breakfast dishes like idlies or dosas. Even i served this flavourful kuzhambu with some crispy pearl millet dosas for our dinner. A spice powder gives a tremendous flavour to this dish. Each and everyone have their own way of making this poricha kuzhambu and mine is one of the easiest one. You can use any Indian vegetables for making this gravy, its one of the comforting stew served along with rotis or with hot steaming rice. Basically this poricha kuzhambu is prepared with or without tamarind and with dals like toor or mung dal or either with the combination of these two dals.If you want to have it with rice make it thinner and if you want to have with rotis, make it thicker..
Dry roast and grind all the ingredients under the list 'to roast & grind' as fine powder. Pressure cook the toor dal,moong dal with asafoetida powder upto three hisses,put off the stove and keep aside. Meanwhile cook the long beans and potatoes with enough water,until they turns soft,dont overcook and keep aside. Heat oil, add the mustard seeds,urad dal,dry red chillies,curry leaves and let them crack. Add the cooked dal,cooked veggiess,turmeric powder and salt,cook everything in simmer for few minutes. Finally add the grounded spice powder to the cooking dal and cook until the gravy turns thick, put off the stove. Serve with rice and spicy side dish. Am an ardent fan of wholegrains and never failed to add them in my dishes, eventhough sometimes its quite a hard task for me to feed my kids, i do play with wholegrains with their favourite dishes and try to feed them atleast thrice a week. I know sometimes they may notice the addition of wholegrains but somehow i'll manage and explain them how healthy these fibre rich grains are. 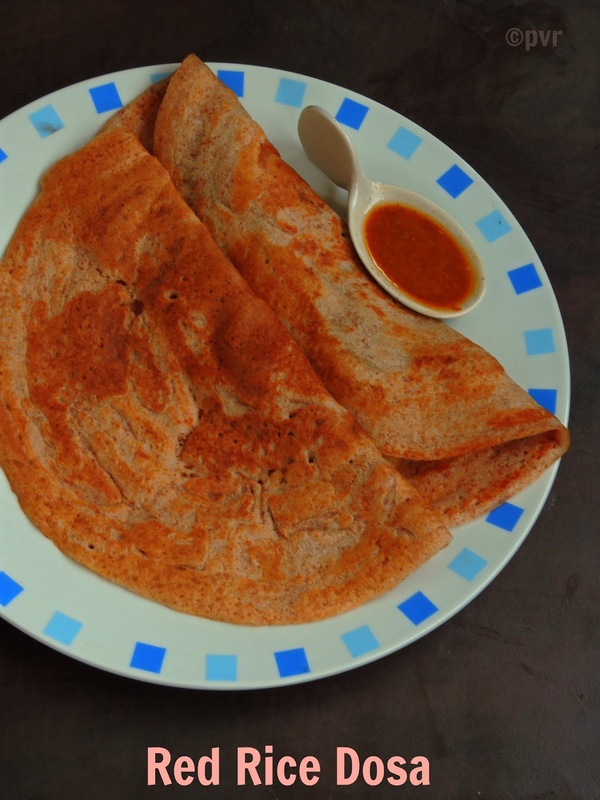 Few days back, i prepared some dosa batter with pearl millet aka kambu, i used whole pearl millet in this recipe and trust me this dosas turned out extremely fabulous. I have tried some non fermentation dosas or adais with pearl millets,but preparing a dosa batter which need fermentation with whole pearl millet,am trying for the first time. Using pearl millet flour is definitely easier than than whole grains, coz whole pearl millet need to be soaked for a long and washed thoroughly to remove the impurities and small stones from it. If you feel lazy, you can go definitely for pearl millet flour and i'll share the recipe soon. Wash well and soak the pearl millet with enough water for 5-6hours. Soak the rice and urad dal with fenugreek seeds separately for 4-3hours. Transfer the urad dal batter to a vessel and grind now both the soaked pearl millet and brown rice. Now mix both the urad dal batter with rice-pearl millet batter, add salt and keep aside for overnite. 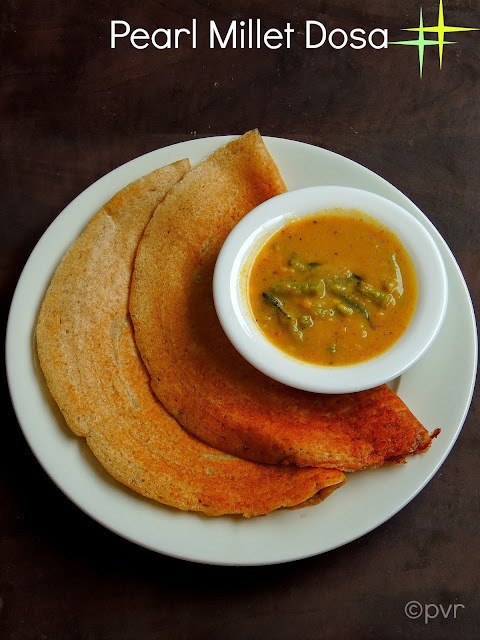 After fermentation, give a stir and cook as dosas on both sides by drizzling oil or without oil in a non stick pan. Hello all, its 7th July and here comes a chitchat with an another budding blogger who cooks wonderfully with healthy stuffs, she blogs at Life With Spices.Most of my readers know that twice a month am introducing newbie blogger to this immense blogging virtual world, just to showcase their blogs with their guest posts they prepred specially for me. Since ever i started this event, its running with huge success and all my guests never surprised me with their humble and delicious dishes. Am honoured and blessed to get this much down to earth persons besides me. Coming to today's host, she is none other than Kalpana Sareesh,one of my favourite budding blogger who never failed to surprise me with her beautiful,healthy creations. Just go through her space, am sure will be astonished to see the variety of healthy foods she shares.Needless to say about her food photography, she rocks with her food styling and seriously her blog helps definitely whoever want to experiment with whole grains and organic foods. Kalpana, she is a wonderful person who never stops visiting and leaving her honest comments and obviously she is one of my follower who never failed to visit me everyday. I love her dedication towards blogging eventhough she works. Dunno how she manage to work and blog at the same time, honestly thats a hard task for me.Kalpana is also a young chef and blogger who speaks from her heart and whenever i talk with her through FB, seriously i felt talking with one of my younger sister. The way she speaks and the way she replies you, eventhough you have never crossed her in your real life, you will definitely feel that she is a amazing cook with huge heart. Now lets hear from Kalpana..
A blog which inspired me to cook healthy dishes more importantly the quickest but the yummiest way would def be Priya jee’s blog. She is one of the most humble person ever met on a virtual world. I read every post of hers and go flattened the way the same ingredient is cooked in so different ways. My blog is completely inspired from hers. Baking addiction begun only after watching her space. Thanks a lot for inspiring budding people like me and for this wonderful opportunity to showcase me in your versatile blog. Tell us about your blog and you? Hi! Am Kalpana a Chennai person living in Chennai with my Husband. I am a Finance Manager in a Logistics firm owned by my Father. Blogging @ Life with Spices started has fun .. My hubby dear and my lil sister kicked me to start blogging. They patronize every dish I cook. Before and after blogging, tell us what blogging changed your life? 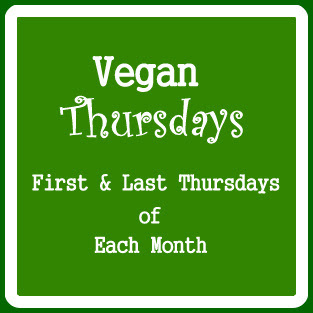 Blogging gave me the zeal to try new recipes importantly healthy recipes. It drove me to hunt for healthy ingredients during grocery shopping. At times have travelled upto 30 kms to get a pkt of Couscous. Importantly my camera got a new life and only blogging taught me baking at home is fun. When and wat motivated you to blog about food? While jobless at home for few months after quitting job from Banking Industry the only work was to browse for new recipes and cook. This made me to start my own blog. There are tons of blogs/pages on food these days, what according to you is the speciality of your blog and the food you cook? I post simple, healthy dishes and never deal with complicated methods and high calorific dishes. When its comes to cooking, who is your inspiration? Definetly my grand mother for her quick fix and yummiest dishes. She’s 84 yrs old and still cooks food everyday at home. And of course my dad for his exotic cooking methods. Every newbie blogger faces tons of challenges when its comes to blogging, tell me about one of the challenges you faced and how did you overcome it? “Blogspot” – Terror word, struggled a lot with html codes. Google and Yahoo answers was the saver. Best and fav recipes would def be Appam Without Yeast, Karpuravalli Rasam/Cuban Oregano Rasam, Brown Rice Idli with Red Chilly Garlic Chutney,Podi Idli and Lemon Coriander Soup. I loved cooking these dishes and these are my most favs too. Am a very beginner in food photography. Lighting is the major factor for pics. What is your budget for the props,do you have any or else do you manage with household stuffs? I spend not more than Rs.200. Intially I was managing with household but later started hunting and my budget is minimal. It depends on my work at office and my personal commitments. But I try posting at least twice a week. Do you have any other passions apart from blogging? I have also done my Masters Degree in Bharatanatyam. So I’ve been teaching Bharatanatyam at a dance school for kids during weekends. And now to the recipe.. a simple tangy bake for a sweet person .. Priya jee..
Hope you liked Kalpana's citrusy brownies, dont forget to give a try to these beauties. I'll be coming back with an another budding blogger's guest post on 20th July,stay tuned friends. We dont get varieties of greens as like India here, but eventhough we manage to add greens atleast twice or once a week in our menu. My recent trip to Indian grocery was simply awesome, i picked super fresh amaranth leaves from there which is quite rare here,eventhough we get this green quite often. But the vendor brought these super fresh greens from a newly arrived cargo parcel, immediately i picked a huge bunch of this green happily. Back home, i prepared those super fresh greens as a quick stir fry with yellow moongdal along with usual spices to enjoy the freshness of amaranth leaves. 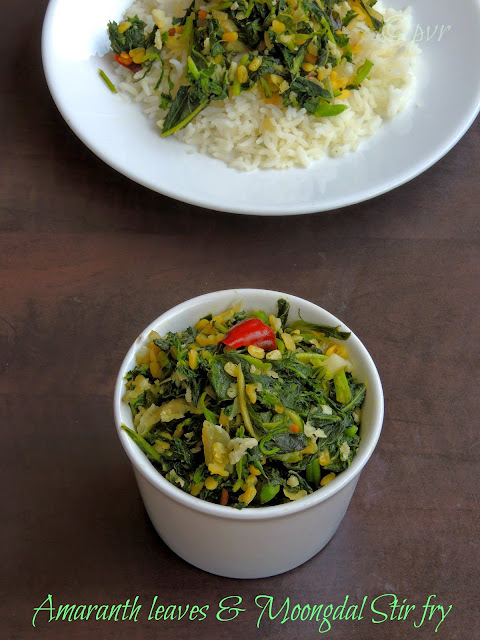 This stir fry makes me nostalgic, i still remember my grandma used to cook super fresh greens which she plucked few minutes before from her backyard as simple stir fry with lentils like toor dal,channadal and moongdal. She never stopped feeding us with her super fresh greens eventhough i dont like them that much when i was young. Seriously i miss our Indian greens here and am craving for some gongura now which is quite a hard task for us to get here.Sending to Srivalli's Side dish Mela. Soak the yellow moongdal for half an hour. Heat enough oil,let splutters the mustard seeds, urad dal and fry the dry red chilly. Add now the chopped onions,slit opened green chillies,curry leaves,cook until the onions turns transculent. Add the soaked moongdal,cook for few minutes in simmer along with salt. Finally add the chopped amaranth leaves, sauté for few minutes in medium.Dont overcook the greens. Serve warm as side dish. Do you love savoury bakes with some salad and meats for your dinner? if you never tried this combination for your dinner, then you are missing something. I tried serving this gorgeous looking savoury cakes for our dinner few days back with salad and some grilled chicken breasts, trust me we have a filling and satisfying dinner. Coming to this savoury cake, this is my last post for this blogging marathon under the theme Savoury baked dishes. 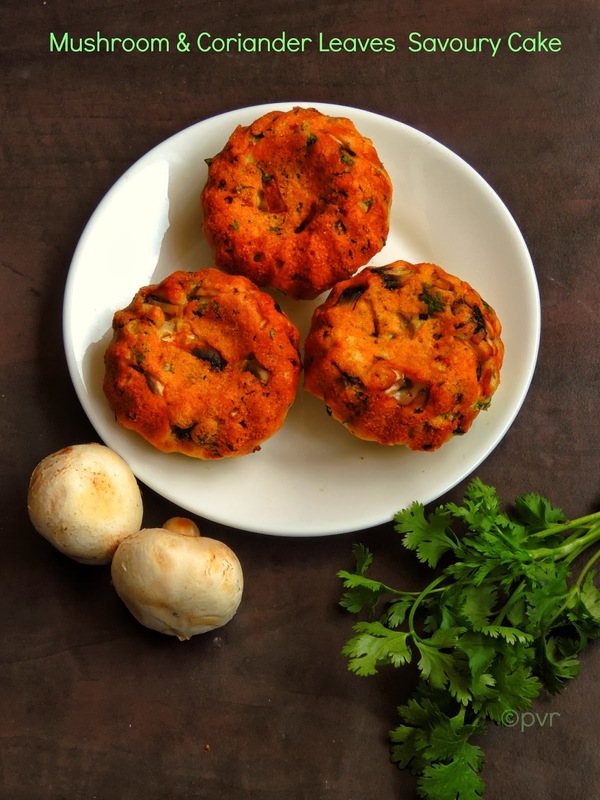 With some button mushrooms and finally chopped coriander leaves,you can make an elegant and tasty savoury cakes, which suits prepared for both lunch and dinner. I used an egg in this cake, if you want to skip it just replace it with egg subsitutes and am sure you wont miss egg in this savoury cake, you can either bake them loaf and slice it or as small muffins as well.Check out the Blogging Marathon page for the other Blogging Marathoners doing BM#30. In a pan, saute the mushrooms with butter until they shrinks a bit and remove from the heat. In an another bowl combine the flour,salt,sugar,pepper powder and baking powder. In a large bowl,beat the egg,milk,oil together until everything gets well mixed. Stir in the dry ingredients gently with a spatula, dont overmix. Fold in the sauteed mushrooms,chopped coriander leaves. Spoon the cake batter to three fourth of the greased mini cake mould. Bake at 350F for 20-25minutes or until a toothpick comes out clean. 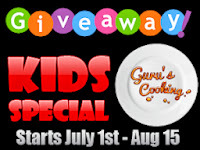 Serve with salads and grilled meats.Sending to Guru's Giveaway - Kid's Special. 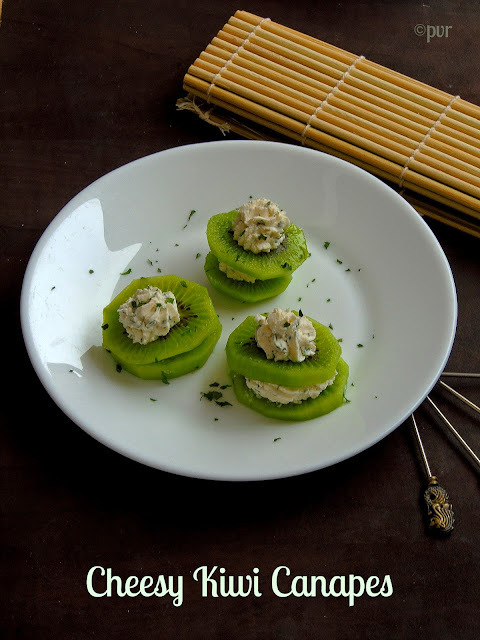 When Kalyani announced this month's Magic Mingle with kiwi and basil leaves after a small break, i was breaking my head how to make out dishes with these two incredible ingredients since the announcement, finally i took a step forward and prepared some super cheesy kiwi canapes,simply with spiced and herbed cream cheese along with thick slices of kiwi. Trust me, this combo rocks even i was quite skeptical about this canape before tasting, but finally i got hooked to this fantastic canapes and couldnt stop myself with one. Serve them chilled while the weather is hot, honestly this canapes will makes an interesting and quite a creative starter, you can very well mix and match with the fruits in case if you dont like Kiwi.Thanks to Kalyani for giving this tremendous magical ingredients, else i wont ever try my hands in making this cheesy kiwi canapes. I spiced the cream cheese with dry basil leaves, pepper powder and a pinch of nutmeg powder. My lil one who loves kiwi fruits very much,loved seriously this mildly spicy and sweet canapes.Sending this cuppies to Guru's Giveaway - Kid's Special. Take the cream cheese,nutmeg powder,pepper powder and dry basil leaves together in a bowl and mix well (usually cream cheese will have salt in it,so no need to add salt). Over a kiwi slice,just squeeze out this herbed cheese and cover it with an another slices as like sandwich. And squeeze gently again the herbed cheese over the sandwich kiwi slices. Rosti is a Swiss dish prepared mainly with potatoes, this dish is a common breakfast eaten by farmers in a region of Swiss and today this dish is eaten all over Switzerland and many restaurants serve this dish with many sides. This rosti is consider as a Nation dish by swiss people,coming to this dish its simply prepared with grated potatoes,oil and grated onions with salt and pepper powder. 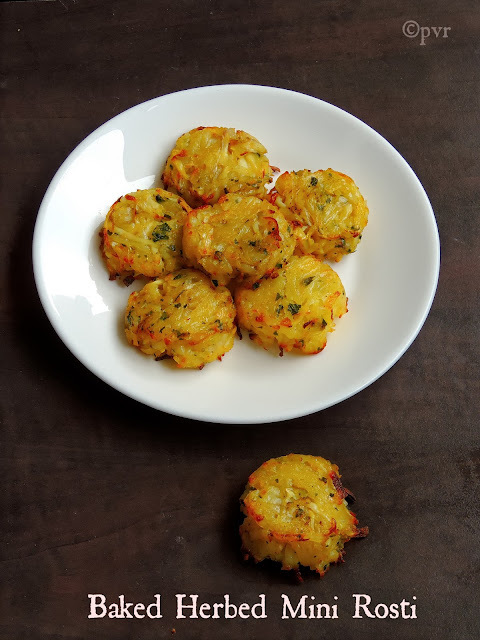 Usually rosti are prepared as thick patties and they are cooked in frying pan, but for my today's post i baked them in oven coz my theme of this week's blogging marathon is savoury baked dishes and they came out extremely amazing. These Rostis sounds like Hash brown and Latke, a Jewish pancake, but this rosti are completely different from the both dishes.With loads of parsley leaves,this herbed baked mini rosti tastes fantastic when served with a simple vegetable salad. Kids will love these cuties and am sure this dish will definitely become their favourite among their most favourite dish.Trust me these cute rostis are completely vegan and quite addictive too.Am posting this vegan baked herbed mini rostis today as am a member of Vegan Thursdays, an vegan event running twice a month started by me.Check out the Blogging Marathon page for the other Blogging Marathoners doing BM#30.Sending this baked dish to SYS-W Series - Potato & Brinjal. Preheat the oven to 350F, grease a muffin tray with oil and keep aside. Cook the peeled potatoes in boiling water until they turn tender, dont cook too much and cool it completely. Grate the potatoes and mix with grated onion, now add the olive oil,salt and pepper powder and mix well with a fork. With a fork, divide the potato mixture into the already greased muffin tray and bake for 30-35minutes until they turns golden brown. Serve with salads.Sending to Guru's Giveaway - Kid's Special. Today's post is my 2,500th post, am very happy and proud. Nothing is possible without all your constant support and encouraging words.Thanks to each and every for being part of my culinary journey.Am starting today my first week of blogging marathon with an interesting theme,yep today's theme is savoury baked dishes. Obviously the next two days posts are going to be baked savoury dishes. 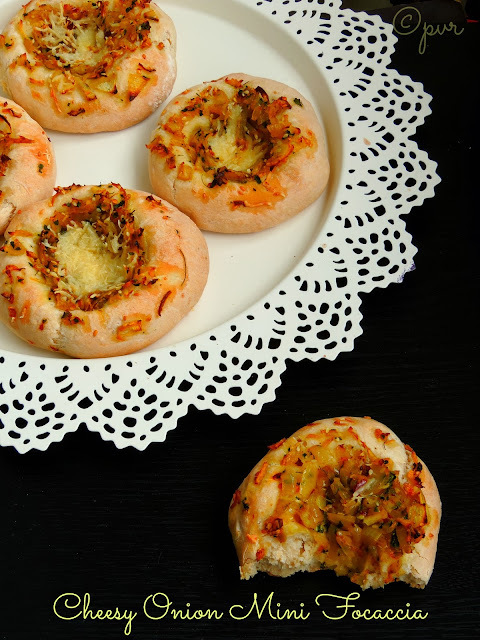 For my today's post, am posting a classic Italian,super cheesy and aromatic mini focaccia bread.Focaccia is a flat oven baked Italian bread which may be topped with herbs,cheese,veggies or simply with other ingredients like meats.Focaccia bread are quite popular in italy and they are flavoured with many ingredients. Focaccia dough ressembles quite like pizza dough and they are rolled out or pressed by hand into thick layer of dough and then baked in oven.This bread can be used as side for many meals also for making sandwich bread.Usually focaccia comes in three variations, classic focaccia with fresh tomatoes and olives, potato focaccia with potato slices and white Focaccia with salt grains and rosemary. Some other variations includes peppers, onions, eggplant or other vegetables.Coming to my mini focaccia, i simply prepared with grated cheese along with sauteed onions and parsley leaves, a prefect side to enjoy with some warm soups.Check out the Blogging Marathon page for the other Blogging Marathoners doing BM#30. Mix the sugar, salt and yeast in luke warm water, let them sit for 5 minutes. Take the all purpose flour in a mixing bowl, add the foaming yeast, mix everything well. It will be stickly at this point, transfer the them to lightly floured surface, knead for a while until they turn as a soft dough. Coat a deep bowl with olive oil,place the soft dough also brush with more oil, cover it and let it sit for an hour in a warm place. Punch down the doubled dough and divide the dough as 7-8balls, knead the dough again and make a medium sized circle like disc. Arrange the flattened disc in a baking sheet lined over a baking tray. Meanwhile heat the olive oil , saute well the chopped onion and chopped parsley leaves with salt together for few minutes and keep aside.. The dough will doubled again in size. Press the dough gently in the center with your fingertips, just spread the sauteed onion and parsley leaves over the dough. Gently sprinkle the grated cheese over the onion mixture. Preheat the oven to 350F, place the baking tray in middle rack, bake for 15-20 minutes or else until the dough turns slightly brown.. Serve them with cream cheese, salads or else with a bowl of soup.Sending to Guru's Giveaway - Kid's Special. Celebrating virtually a friend's birthday, seriously am loving it. Eventhough many miles separates us we, a bunch online friends aka bloggers trying our best to celebrate birthday of each and every person of our small group. Today Divya Pramil of You Too Can Cook, a young and bubbly chef aka one of my best sister celebrates her birthday and we cooked few party dishes from her space to celebrate this day. Happy Birthday Divya Pramil, make god bless you.Look up to the sky, too many stars are shinning up there, i want to see you shinning like a star on the sky of life, have a sparkling birthday Sister. To a wonderful person i crossed in this virtual world, i cooked three dishes from her space to celebrate virtually her birthday. She shares many beautiful dishes and her breath taking clicks will definitely tempt you also you will learn easily her dishes through her stepwise pictures. Hope Divya will love and enjoy my virtual treat, but seriously everyone at home enjoyed this beautiful dishes and Bread 65 is our recent favourite.Dont forget to check out Sangee,Manjula Bharath,Divya Prakash,Vijayalakshmi,Preeti Tamilarasan,Shama Nagarajan,Priya Ranjit and Pretika the other bloggers joining their hands with me. 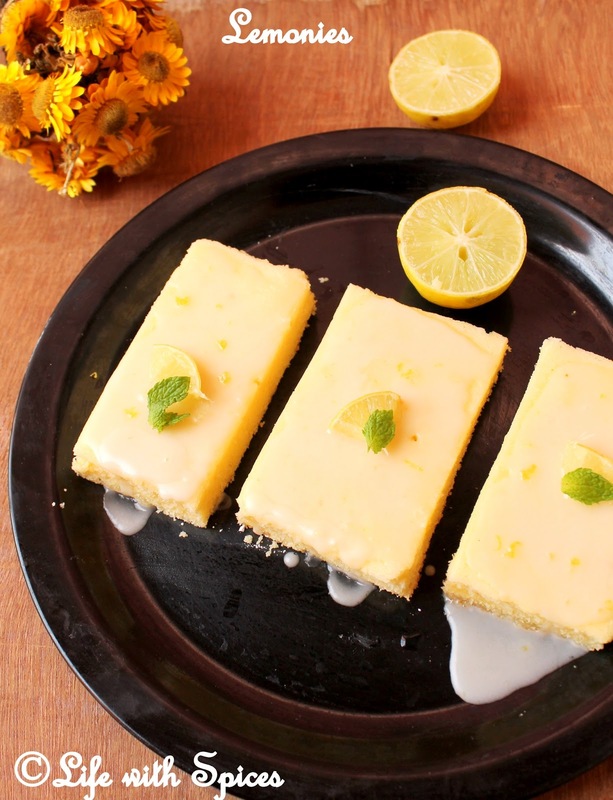 Go through their blog and enjoy the virtual feast we cooked for Divya's virtual birthday party. Heat a pan,add a teaspoon of butter, add the cashew and fry until they turns golden brown. Add the raisins to the same butter and fry until they turns brown. remove and keep aside. In a pressure cooker, heat two teasppon of butter,once the butter starts melting, add the slit opened green chilly,chopped garlic, saute for few seconds. Add the sliced onions,saute well until they turns transculent. Now add the salt, pepper powder,cook for few more minutes. Add the soaked basmati rice,saute for a minute, add 2cups of water, stir. Now add the fried cashews,raisins, give a stir and close the cooker with a lid, dont put the weight and cook the rice in low flame. After 5 minutes, check the water and rice, if the rice is cooked and no more water, out off the stove. If the rice is not cooked again for few minutes. Toss gently the rice, dont stir much and serve with raita. Cut the bread slices as small cubes. Take a medium size bowl with gram flour,corn flour,rice flour,baking soda,ginger garlic paste,chopped curry leaves, red chilly powder,crushed fennel seeds, salt and yellow food colour, make a thick batter by adding enough water. Batter should not be watery. Heat the oil for deepfrying, dip gently the bread cube in the prepared batter and drop immediately the hot oil. Fry until they turns brown, dont over crowd and fry in small batches. Remove from oil and drain the excess of oil with a paper towel. Wash the chicken pieces thoroughly, add the curd,ginger powder,chilly powder,coriander powder,fennel powder,turmeric powder,salt and mix well until the chicken pieces gets well coated. Meanwhile soak the saffron strands in warm milk and keep aside. 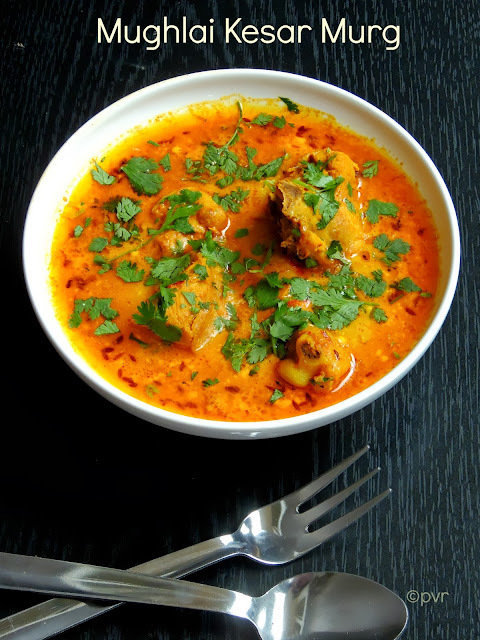 Heat a kadai with oik, once it gets hot, gently remove the spiced curd coating from the chicken and drop it in hot oil. The curd may get dispersed in oil,but dont worry,fry the chicken until they get half cooked. Heat an another pan with oil, let crack the cumin seeds, add the asafoetida. Now add the curd mixture used for the chicken marination,stir well and cook for few minutes until the oil gets separates. Add the fried chicken, stir well. Add a cup of water to the cooking chicken and cook everything in medium flame until the gravy gets thickens. Finally add the saffron milk,cook for few minutes. Add finally the fresh cream,mix well and remove from flame.